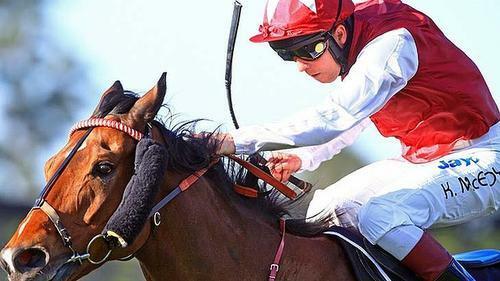 Consistent galloper Pinwheel won his second straight Group II Warwick Stakes (1400m) to break through the $1 million prizemoney barrier at Warwick Farm on Saturday. It was his 12 win with 13 placing’s from only 34 starts. The son of Lonhro’s win gave his trainer Peter Snowden and jockey Kerrin McEvoy a feature race double following the victory in the Up And Coming Stakes by Albrecht. "No horse deserves it more than he does,” Snowden said. "He’s just below that top standard but gives everything. The trainer also praised McEvoy for his ride aboard Pinwheel ($4.40 fav), who defeated Secret Admirer ($5) by a half-length with Danleigh ($26) a further three-quarters of a length back in third. "It was a brilliant ride by Kerrin (McEvoy) to get into the position (one out one back) that he did,” he said. McEvoy said Pinwheel’s "ability to do it tough at both ends” was the deciding factor in Saturday’s $175,000 feature. "He stuck it out well. Some of these other horses were first-up but he’s fit and ready so away we went,” he said. Delbridge Racing is syndicating powerful 2-y-old by Lonhro to be trained by Jason Warren. There are 5 x 5% shares still available.